#1: Public speech — gives me insomnia. #2: A drunken man — don’t like the look nor the smell. #3: Coolwhip — I know I am weird, but I never had any good experience with this, so called “whipped dairy topping” you can find grocery stores anywhere in the U.S.
One of the worst dessert I ever had was a cake made right out of cake mix (without doctoring up) with Coolwhip as frosting that someone brought to the party many years ago. It was one of those moment that you, sort of, have to finish the plate in order not to offend the person who brought it. I don’t mind cake mixes as long as it is doctored up a bit to hide cake mix like taste, but coolwhip as frosting? Yikes! I am not a food snob but I would rather have 2 Tbsp of fresh cream rather than a bucketful of artificial dairy topping smothered on my dessert. My prejudice on Coolwhip have changed until one day I tried these cookies a couple of years ago. I had a container of Coolwhip in my freezer and didn’t know what to do with it. 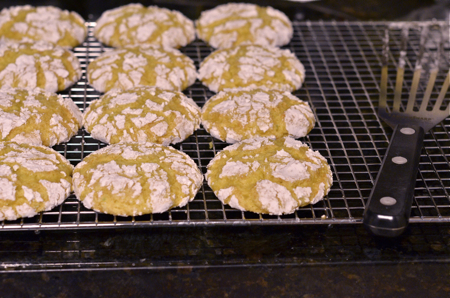 I did some search to find the recipe to utilize it and found this crackle cookies using a cake mix and Coowhip. I gave it a try… It turned out real good. I took them to a beach party one day and they were gone within 5 minutes. 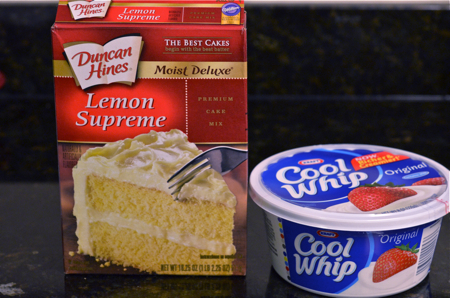 Introducing thing 1 and thing 2…, a cake mix and the coolwhip! 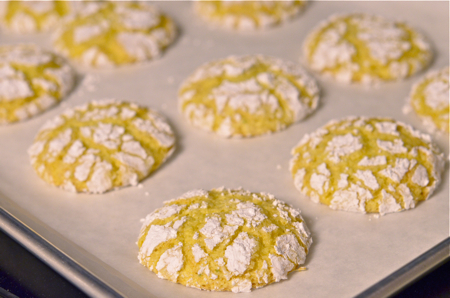 The main ingredients along with some fresh lemon and flaked coconut to make very lemony cookies. 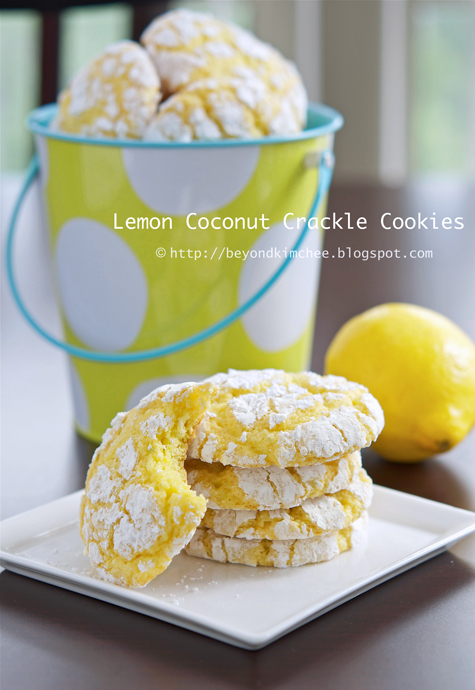 The texture of these lemon coconut crackle cookies are not as typical as other cookies. They are more like sponge-ish due to the addition of these 2 things. Why I like so much about them even though I don’t care for these thing 1 and thing 2? The taste, the texture, and the fact that no butter or oil is needed to make a batch sold me. Total 6 ingredients to make the cookies. How easy is that? Very, very usual “in your pantry” ingredients. 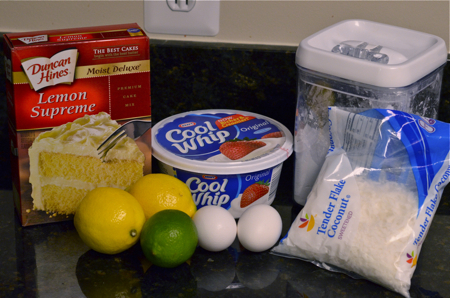 Lemon cake mix, coolwhip, powdered sugar, coconut, eggs, and lemons. I added a lime since he wanted to join the party. 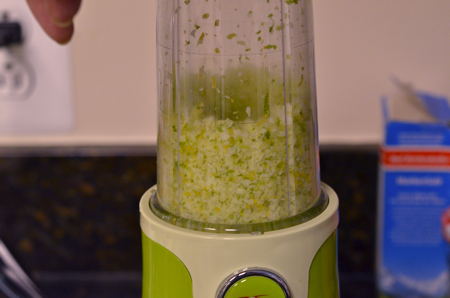 You will need lots of zest from these citrus fruits, so clean them well. I use baking soda to clean all my fruits (skinned) and vegetables. Just rub them and rinse. 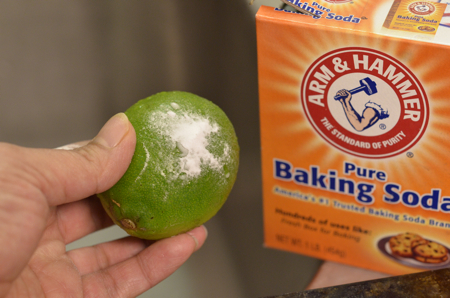 Baking soda will help to clean out all the pesticides that might lingering on the surface. Zest their beauties and enjoy their fragrance. Use all lemons or mix with lime. 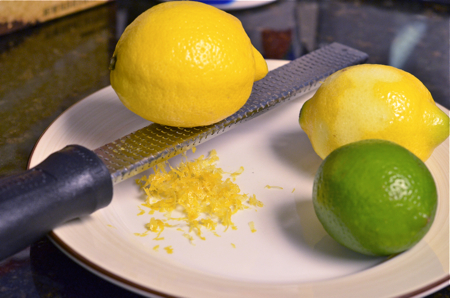 Combine the lemon zest with flaked coconut and process a few times to finely chop them. 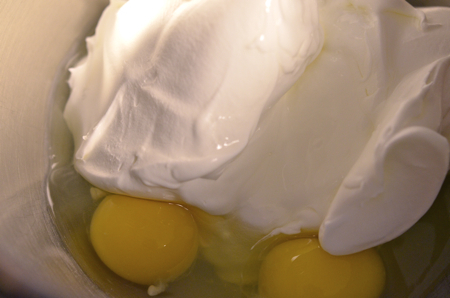 In a mixer with a paddle attachment, mix coolwhip, eggs and 1 tsp of lemon juice until creamy and fluffy like bunny. Hint: Frozen stage of coolwhip works better than thawed. dump the cake mix, lemon coconut crumbs, and 1/4 cup powdered sugar. Mix until combined. It will be very sticky. 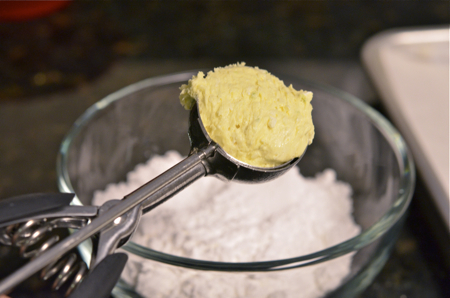 An ice cream scoop, a tool to have if you are serious cookie baker. I used a table spoon size scoop. 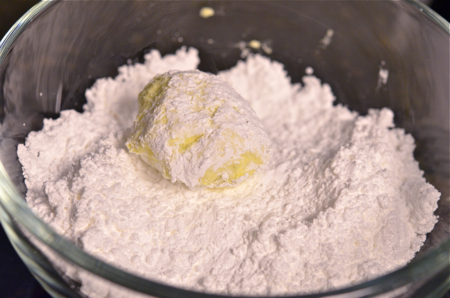 Drop this lemony bomb on the bed of fluffy powdered sugar. Let it roll! Line your pan with parchment paper. Teach your lemon bombs to line up straight. Bake at 35oºF for about 10-13 minutes until the edges gets golden brown and the top cracks up like crazy. Note: You want to slightly over-bake these cookies to get the nice spongy texture. If you under-bake them they get wet and soggy which you won’t like at all. Transfer them onto wire rack and cool completely. Store them in a airtight container. My delectable cookies are done. Perfect for garden, tea, beach, or any parties. But don’t tell what’s in them — my thing1 and thing 2! especially to those who look down on them. I love the bucketful of this dairy topping hidden in my cookies though. 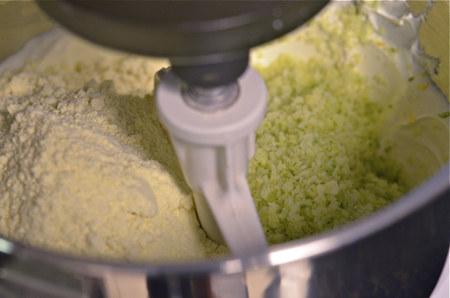 In a blender or food processor, combine the zests and coconut, process for 30 seconds to get them finely chopped. 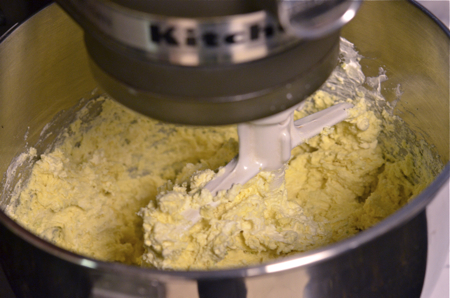 In a mixer with a paddle attachment, mix dairy topping, eggs and lemon juice until fluffy. Add the powdered sugar, the cake mix, and the coconut mixture; mix well. 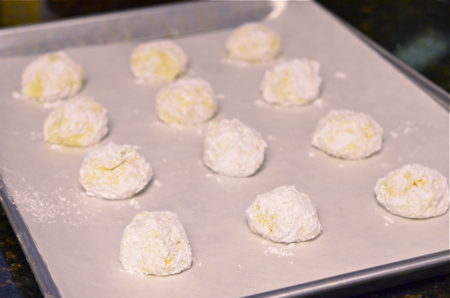 Drop by tablespoonfuls in a bowl of powdered sugar, roll them to coat all over. Place them 2 " apart on a cookie sheet with parchment paper on it. Bake for 10-12 minute until the edges gets golden brown. Cool them on a wire rack. This seriously looks amazing! I am a big fan of coconuts and lemons so I can online imagine what this tastes like! Hubs just got me kitchenaid mixer, so I will have to save your recipe and give it a whirl! Thanks! I love being surprised by the simplicity of ingredients we normally snub! 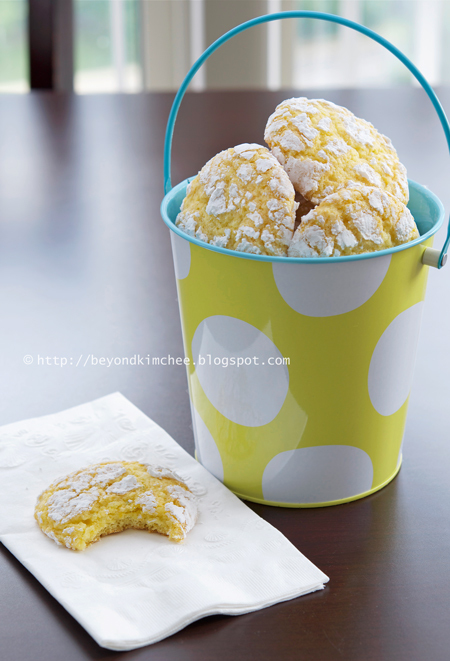 These look like a perfect spring cookie, Thanks for sharing! Hope you get to try this cookies. They are really good. Enjoy your new kitchenaid. it is a must in everyone's kitchen these days, I think. Thanks for stopping by. I love simple recipes like this as well. 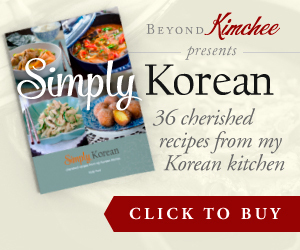 I think everyone loves stress free, hassle free recipes. Adorable! I would never have thought to put dairy topping in my cake mix cookies. These look so pretty and I agree that it's good not to dismiss some ingredients totally, though fresh whipped cream wins everyday of the week - very happy to have found your blog, thanks for sharing. Just found your blog - am following. I love your recipes. These look so pretty. These are so good I made them twice in 1 week! Thanks for the recipe...I think :). You are very welcome. I am glad that you liked it. I use the plain version - 1 box cake mix, 1 egg and 2 cups cool whip. Mix, roll in powdered sugar, bake, cool, eat. This works for lemon, chocolate and pretty all cake mix flavors. your picture sold me on these...so I made them that day and OMG! light, lemony, sweet, and absolutely delish! I made these today, and my family absolutely loved them!! They were completely gone by the end of the day! We definitely have a hit with this recipe. I'm going to have to blog about this soon. Thanks Jen. It was so nice to hear that your family loved them. These look beautiful and delicious! Like you I'm not much for box mixes but will say my favorite cake doctored up is from a box mix. 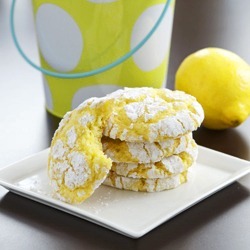 I will definitely try these cookies and what a great one to share for Easter. 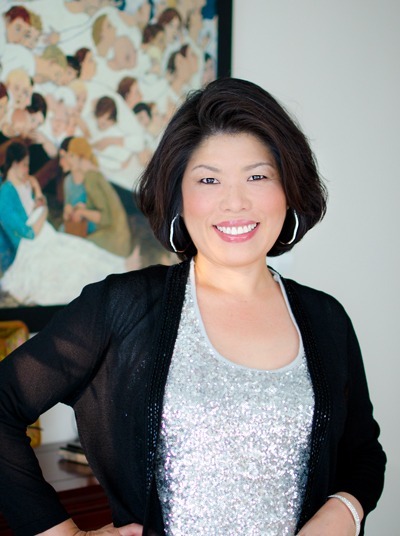 You have a great writing voice. I love how you "added the lime because he wanted to join the party" and how you said to "Teach your lemon bombs to line up straight." Great pictures, too! I have made these cookies twice now. I leave out the coconut though because some people act like babies and don't like the texture LOL. I have put coconut extract in one of the batches. Also, I've left out the grated lemons or limes. Either way THESE ARE SO DELICIOUS!!!! They are soft, pillowy, lemony clouds of goodness! Holly, thanks for the fun recipe! I think I am doing something wrong though. I have made them twice and both batches have gone very flat. Do you know what I could be doing wrong? Did you use self-rising flour? It is different than regular all purpose flour. Is your self -rising flour fresh, not expired? Other than that, I'm not sure why they got so flat. Sorry to hear that. Oh, I think i meant to reply to another recipe question but ended up putting in here. There is no flour in this recipe. Sorry about the confusion!